There are two search boxes on this site. The database search function is very powerful. This search box is located on top of each list on the right. When you add a name or year immediately the list will be smaller displaying only the filtered results. You can search the pages of the site for various information. This will not search the cemetery or graduate records. Use the DATABASE SEARCH BOX above each list for that purpose. Q: I want to search for all veterans in Neshonoc Cemetery. A: Search for (*). It will display only records with (*) which indicated a Service Veteran. Q: I want to search for a Mark Erickson. I think he lived near West Salem but its a common name and I an not sure which cemetery. A: Search using the Combined cemetery list under West Salem Cemeteries. Search for Erickson. 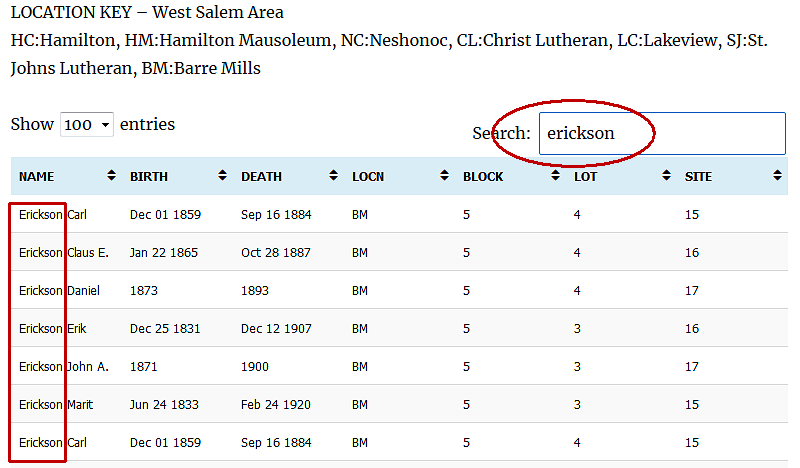 It will display only records with erickson anywhere in the database. 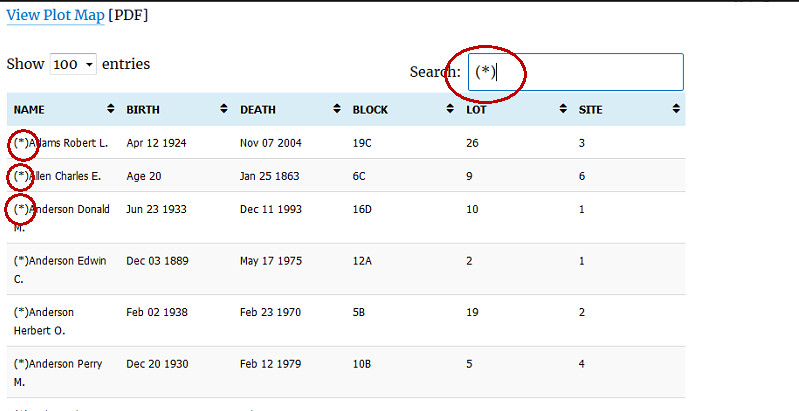 You can then which cemetery in the location (LOCN) column.